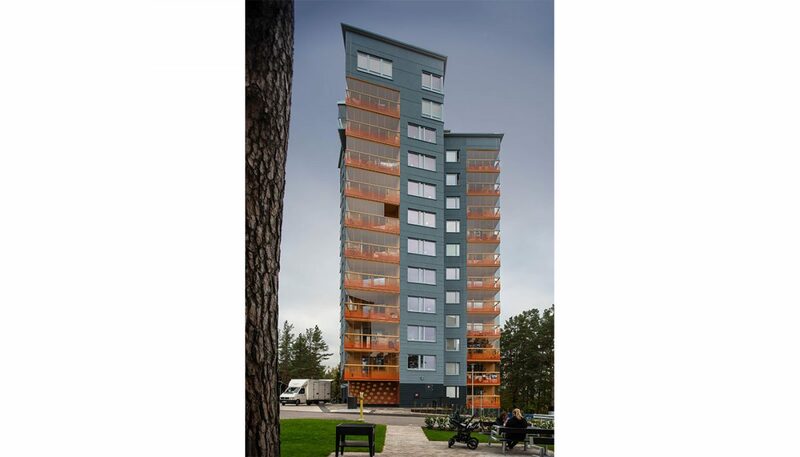 Tovatt Archictects & Planners has assisted the municipal housing company Stångåstaden in Linköping to develop the district Vimanshäll. A work that has been going on for more than 10 years. And now it’s finished! The area has been supplemented with a total of about 120 new apartments in mixed sizes and tenures. 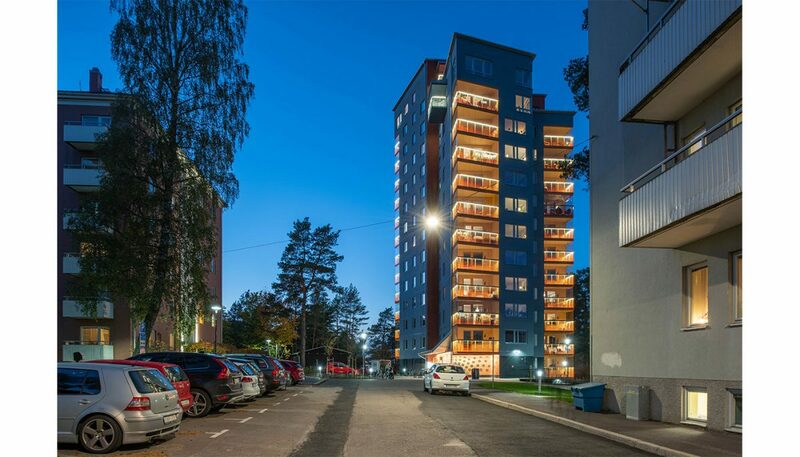 Tovatt Archictects & Planners has designed two smaller apartment buildings with a preschool on the ground floor and a 14-storey tower block. 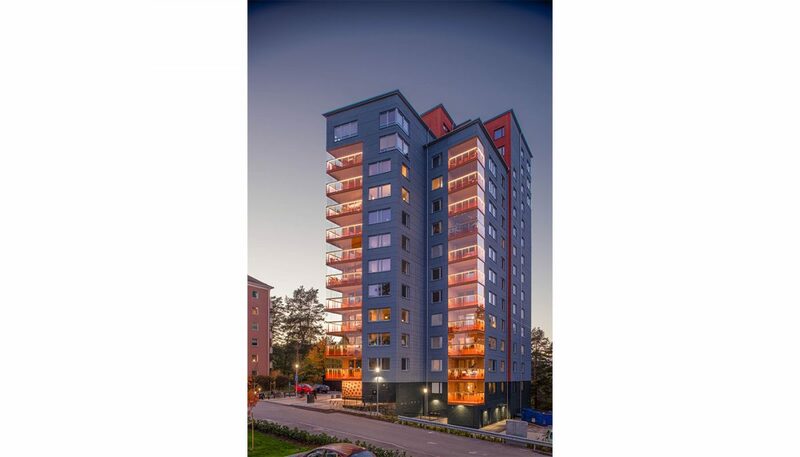 On Friday the 21st of September 2018 it was the inauguration of this tower block, Höjdpunkten. 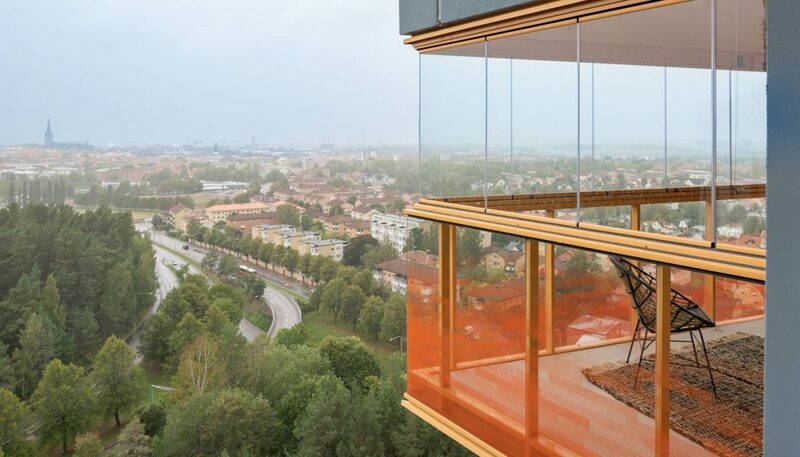 50 rental apartments with Linköping’s best view! The building has a shape to capture the light and handling noise. 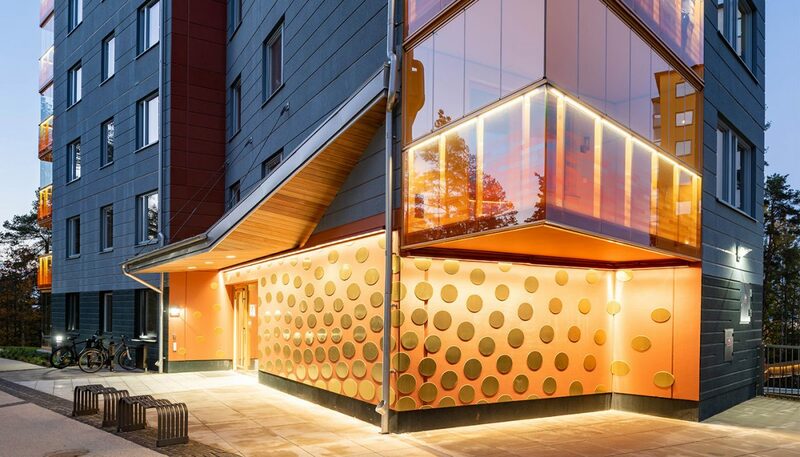 The facades have been given a colourful expression as a reference to the site’s historical use as a beacon. 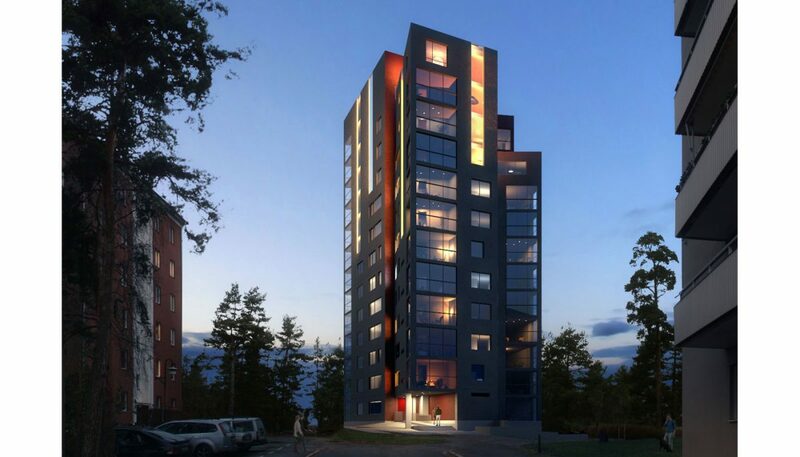 Now the new building “Höjdpunkten” is shining over the town in the evenings!